Voted as “Best Pizza in Connecticut”, and earning numerous awards locally in 2010-2013, it’s safe to say Jordan’s Too in Norwalk is doing something right in their kitchen. With 3 different locations, these Jordan’s guys are getting their name across CT pretty fast! Jordan’s Restaurants are all family owned and operated and known for serving customers since 1978. That’s a lot of satisfied customers and they’ll all tell you how good it is! Known for fantastic Pizzas and for being the “Best In The Catering Business,” Jordan’s also provides food service for dine-in, take-out, delivery, as well as large parties and event catering for any function or even for small family events. Specializing in Greek and Italian cuisine along with the infamous Greek style pan pizza, this place serves up plenty to leave you chatting about. The pizza sauce and dough are made fresh daily and all of the toppings are the finest freshest ingredients. We want to invite all of you to taste what many are calling the best pizza you can find. We loved it and we only feature the best! So here’s one more for ya CT! Jordan’s Too in Norwalk! Oh and by the way, these guys make the best homemade salad dressing in CT as far as we’re concerned. Bottled in house with secret ingredients that have been passed down from the Greek motherland…it’s serious business! Try the Kitsa Pella Salad and we promise you’ll never look at another salad the same way…ever! Very good pizza. Probably the best in the area. All the food is good and they are always busy so you know it’s always fresh. They offer both Greek and Italian so the menu is pretty diverse and offers a lot of different things. My top 3 pizza places between Cos Cob and Norwalk. My other two are Renapoli which serves gourmet specialty pizzas and also Colony which is known for the spicy thin crust stingers. Jordan Too is great and they also have other locations. 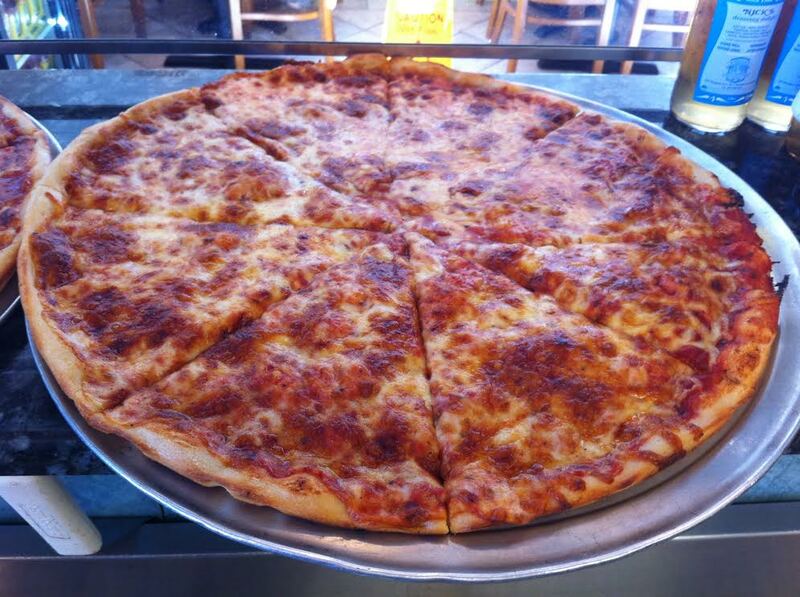 For all you pizza lovers that travel…I recommend Sal’s in Mamaroneck NY. It was a find that my friend discovered one day and we drove out there. One of the best NY pizza places I’ve been too that wasn’t in NYC. Just throwing it out there for pizza fanatics. Really good pizza and the Greek food is better than anything you’ll find around the area. They have a couple locations also I think. Definitely worth a try. Thank you for the comments guys. We appreciate your loyalty and hope to see you back soon. Awesome gyros and Greek food but the pizza is where it’s at. Only place that has equally good pizza and on the same level is John the Baker in Stamford. For more speciality high end type pizza, try Remo’s also in Stamford. I hear Renapoli is also very good in Old Greenwich but I’ve never tried them yet. Recommend the gyros, souvlaki, pizzas and the kebabs are nice.